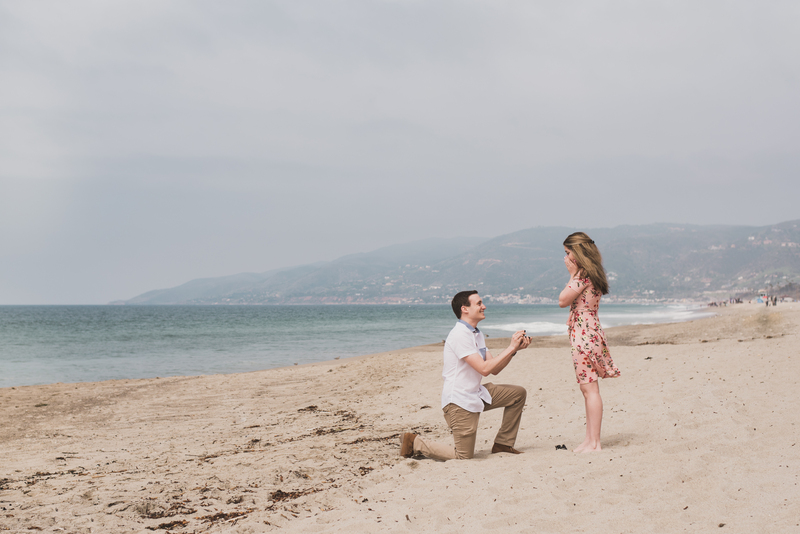 Home > Blog > Top 10 Cities to Propose in the U.S.
We wanted to round-up our 10 fave places to pop the question in the U.S. 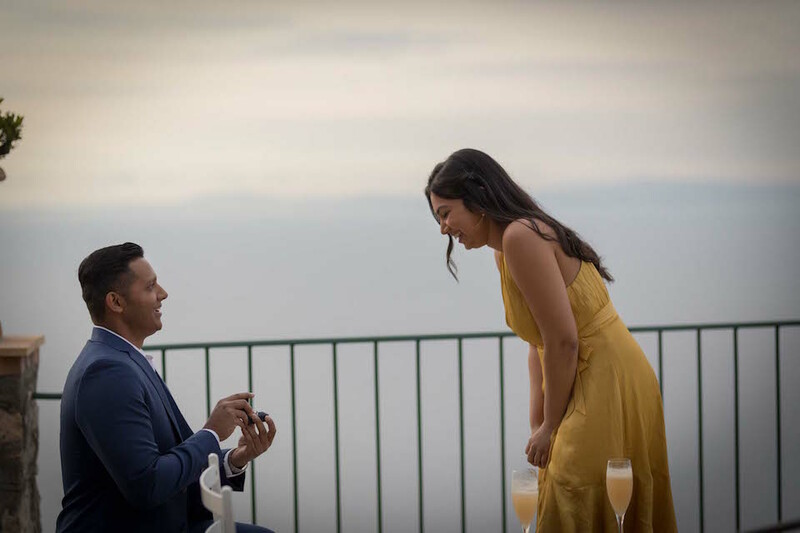 So if you are getting ready to propose, we’ve made it easy for you to plan a gorgeous and memorable one in an epic location. 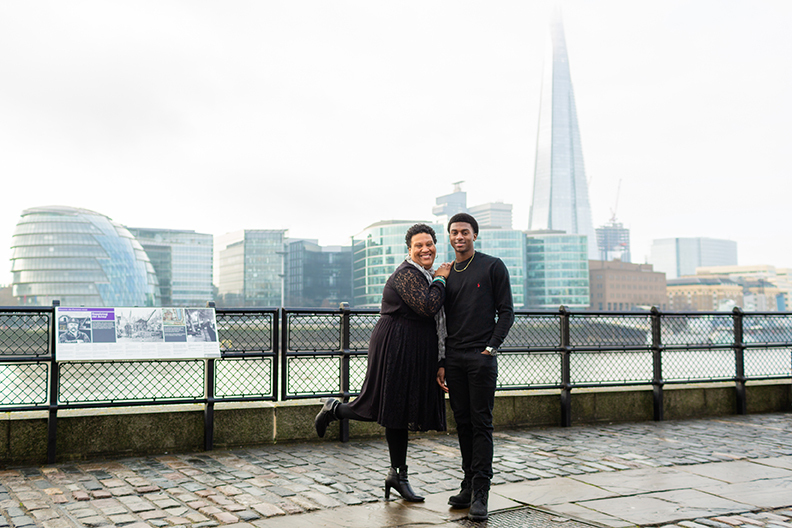 From breathtaking city skylines to stunning architecture to lush greenery, whatever your style, we’ve got you covered. Read on to see where we picked. . . Whether you are an architecture buff, gallerista, foodie or simply looking for an urban holiday, the Windy City is a great bet. 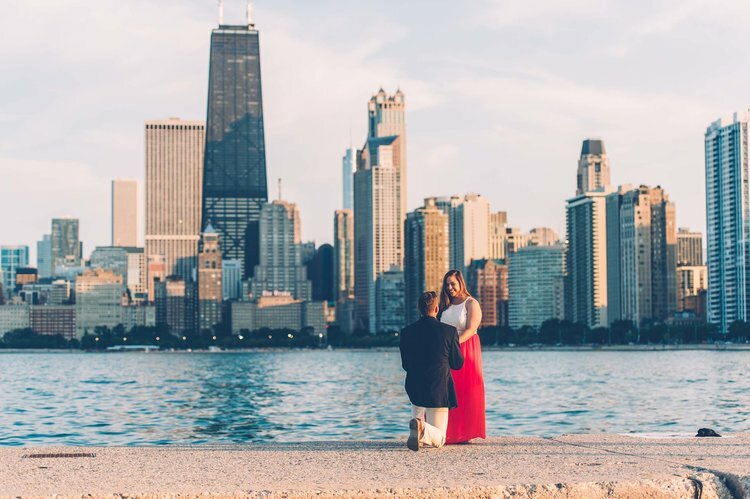 Where to propose: The boardwalk at North Avenue Beach or Alder Planetarium for stunning views of the water and the skyline with Willis Tower. 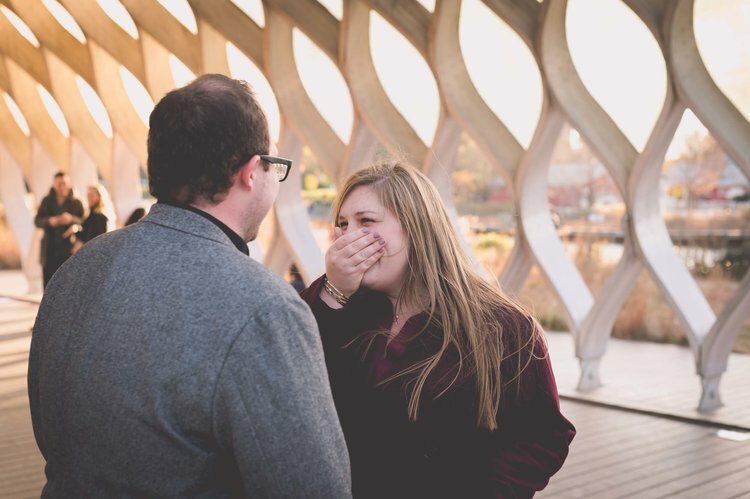 Where to propose: The Studio Gang‘s Nature Boardwalk in Lincoln Park Zoo. 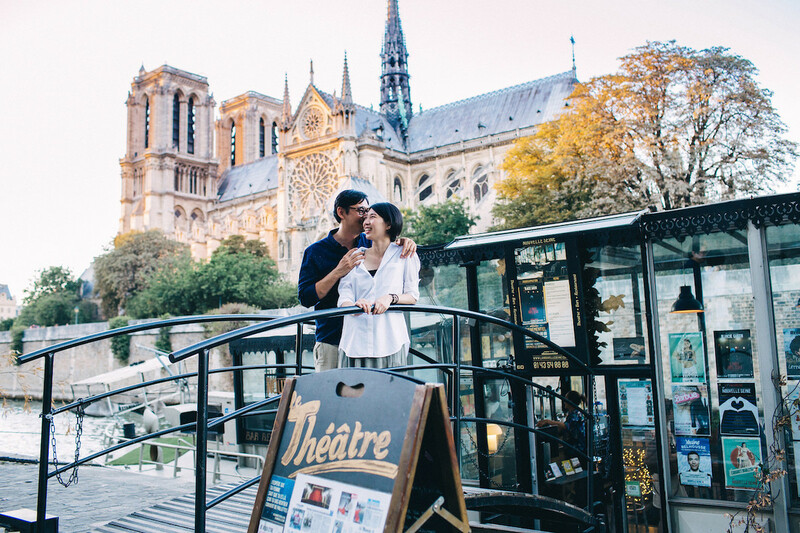 Gorgeous architecture in a serene setting to soak in the moment together. A popular summer getaway off the coast of Cape Cod, Nantucket is an island filled with historical gems and romance. 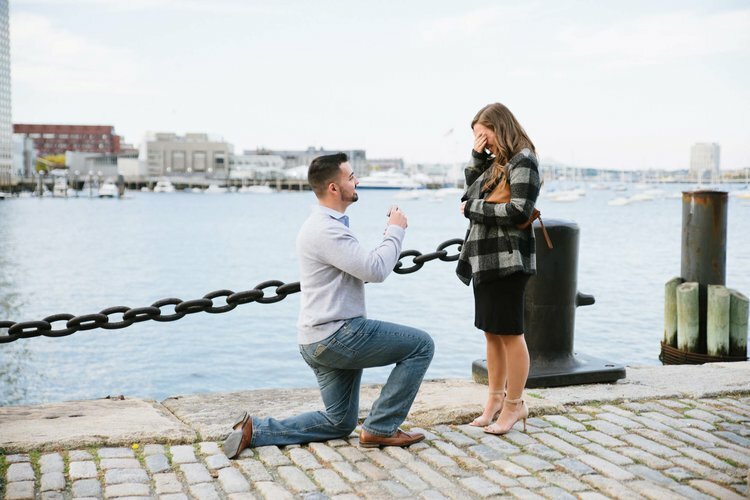 Where to propose: Steps Beach – wander down the steps for lovely views of Nantucket Sound and Great Point. Visit during late summer so you can catch a glimpse of the magical, fairy-like bioluminescent creatures in the water after the sun goes down. Whether your stay includes a relaxed afternoon strolling through Central Park, chilling out at the Williamsburg Waterfront or an energetic Times Square experience, New York will be a city you never forget. 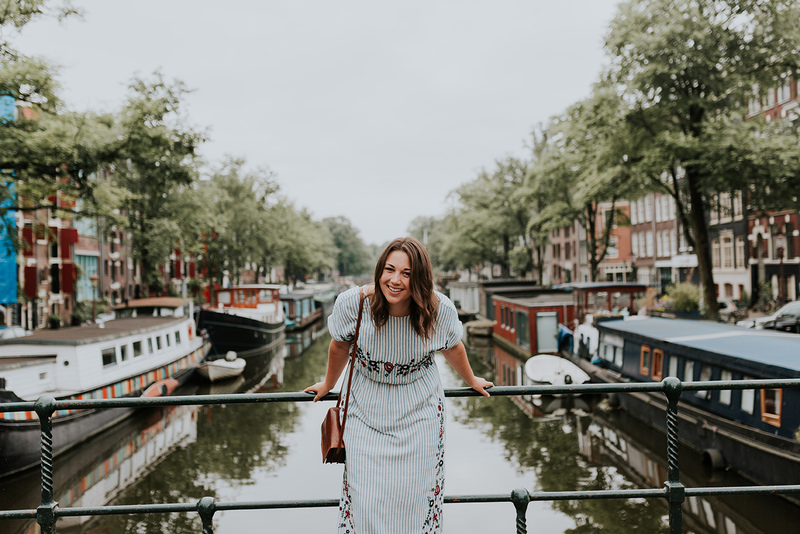 Hop the subway or hail a yellow taxi to explore the depths of its boroughs, each with a high-tempo flavour and diversity unmatched around the world. With endless things to see and do, New York is an experience that cannot be missed! 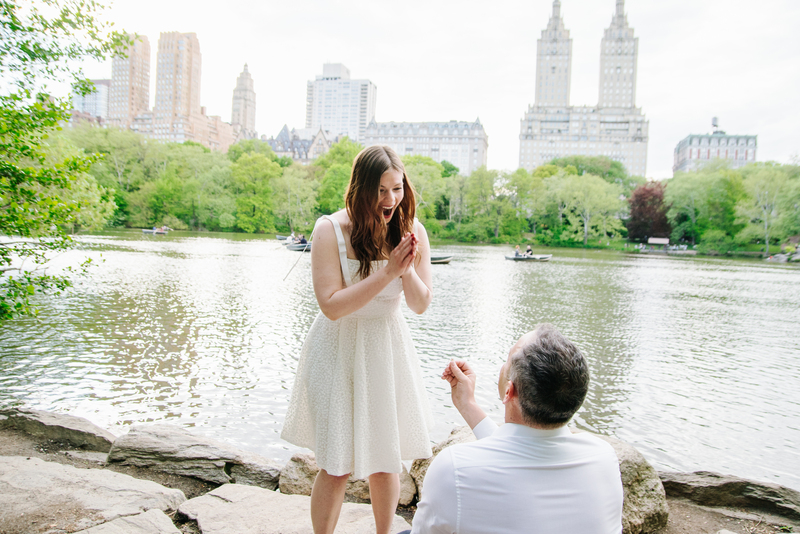 Where to propose: Capture the moment at the iconic Central Park Bethesda Fountain & Terrace and wander along the Mall. 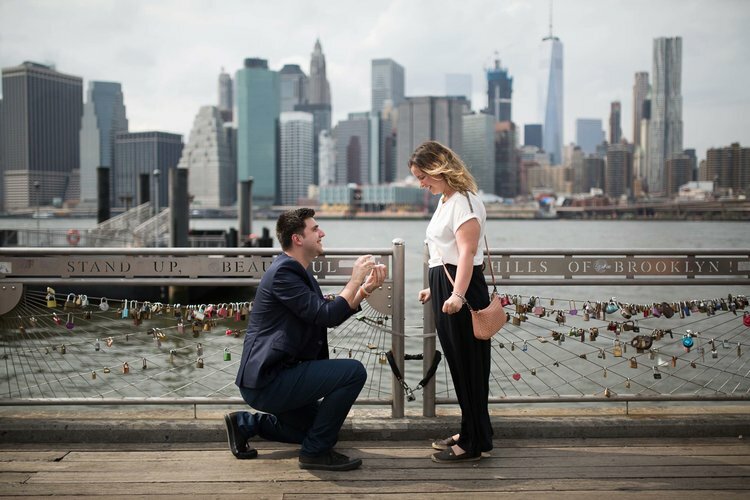 Where to propose: The DUMBO promenade, or Pebble Beach in Brooklyn, capture the skyline of the Brooklyn Bridge and Manhattan, and explore the murals and graffiti around this vibrant neighbourhood. Full of creativity, spontaneity and fun, Austin is also quickly becoming one of the hottest tech towns in the country. Great food + live bands + chic shopping + friendly locals = a great time in Austin. 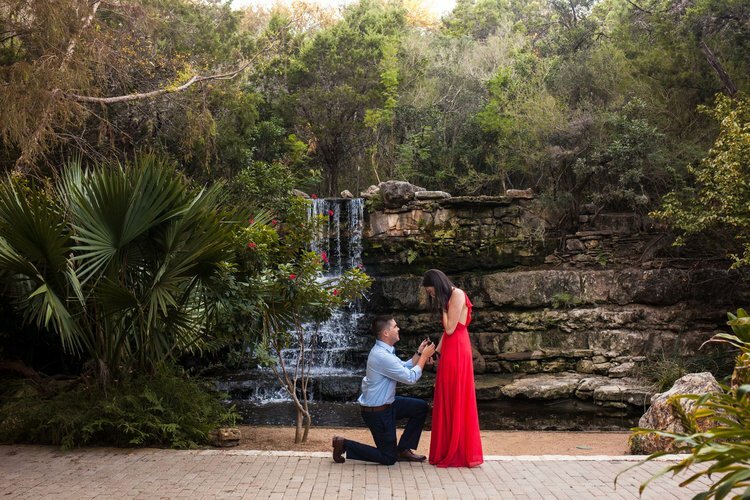 Where to propose: Zilker Botanical Garden, known as the jewel in the heart of Austin. 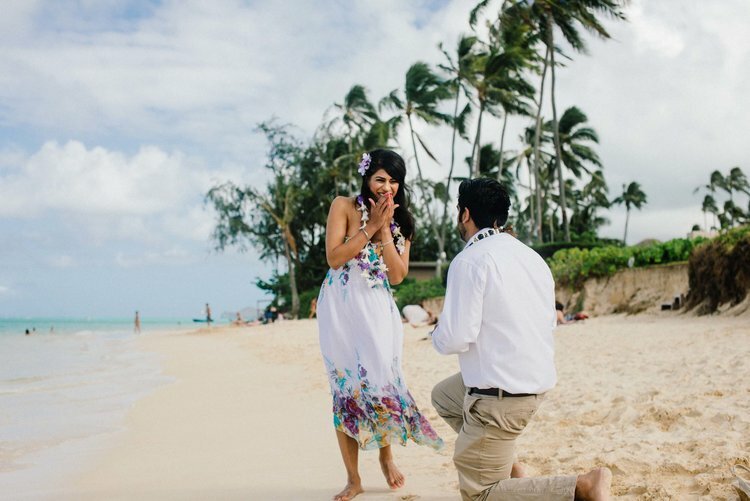 Enjoy a romantic stroll after the big moment surrounded by the lush greenery and peaceful waterfalls. Boston is full of culture, history and fun. Wander along the Freedom Trail to soak in the city’s charming brick buildings, stately institutions and romantic cobblestone streets. 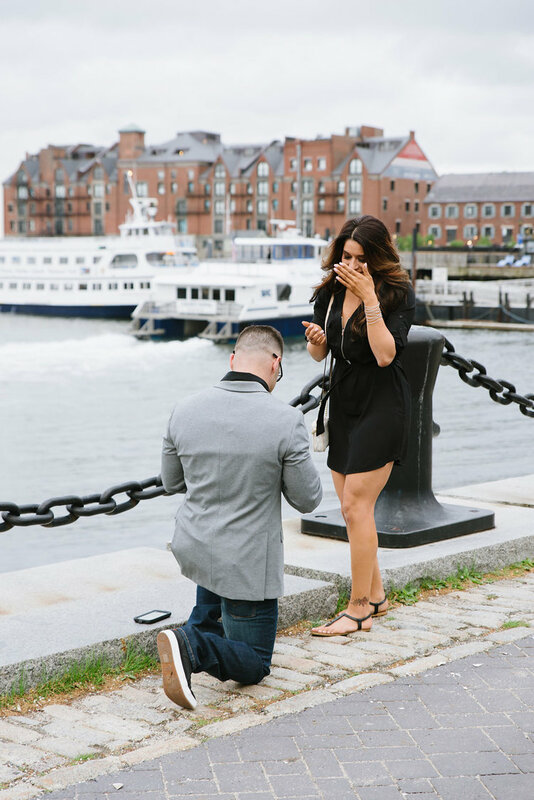 Where to propose: Fan Pier Park, capture the moment on the cobblestone HarbourWalk with gorgeous views of the harbour and the city skyline. Many hidden treasures are tucked into San Francisco’s unique neighbourhoods – make time for exploring at a leisurely pace! 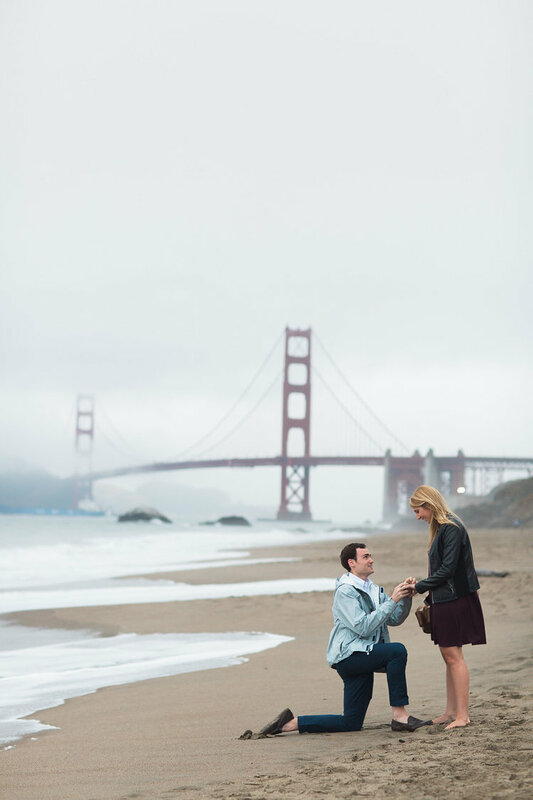 The Golden Gate Bridge, rows of Victorian Painted Ladies, and cable cars running the hilly streets set the scene for a vibrant and friendly coastal city. 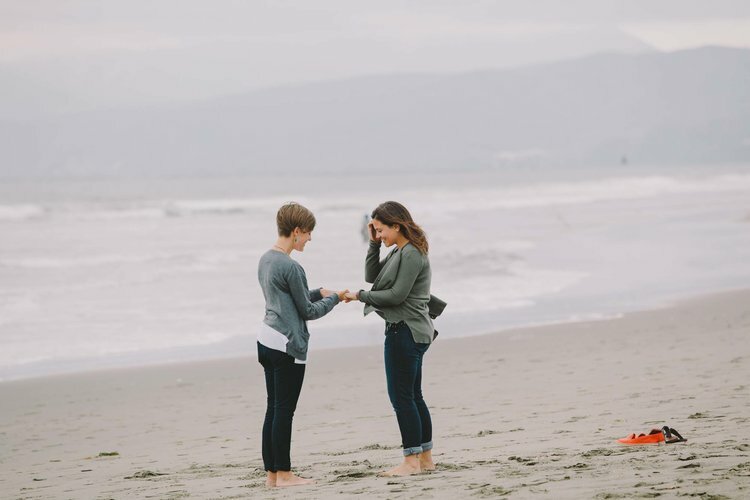 Where to propose: Ocean Beach, a romantic and peaceful spot surrounded by the surf and the seabirds, adjacent to Golden Gate Park. Baker Beach for amazing views of the Golden Gate Bridge and the nearby military batteries and hiking trails. The perfect location for a romantic picnic as you watch the sun go down. Sunny days and inviting beaches beckon the traveller to spend time outdoors. 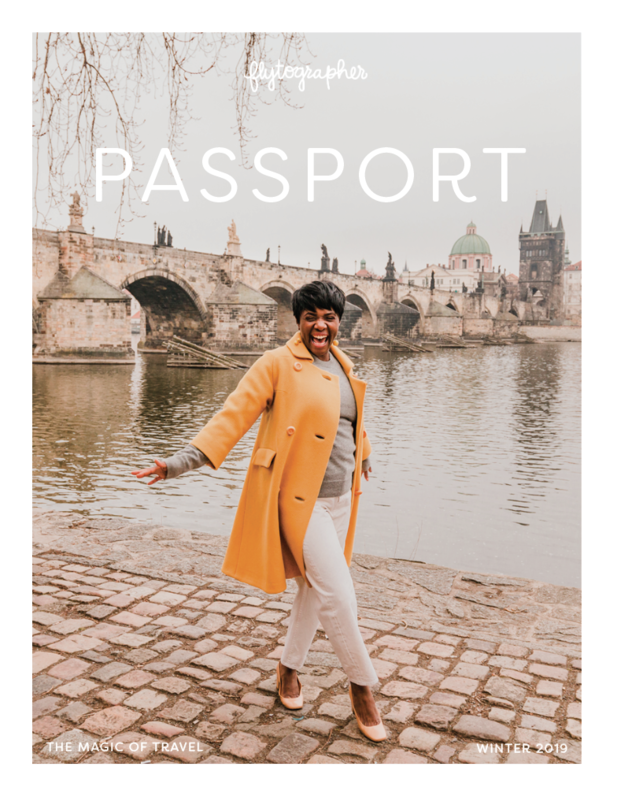 Soak up the healthy vibes of the joyful Californian lifestyle in this eclectic city bursting with charm, creativity and panache. 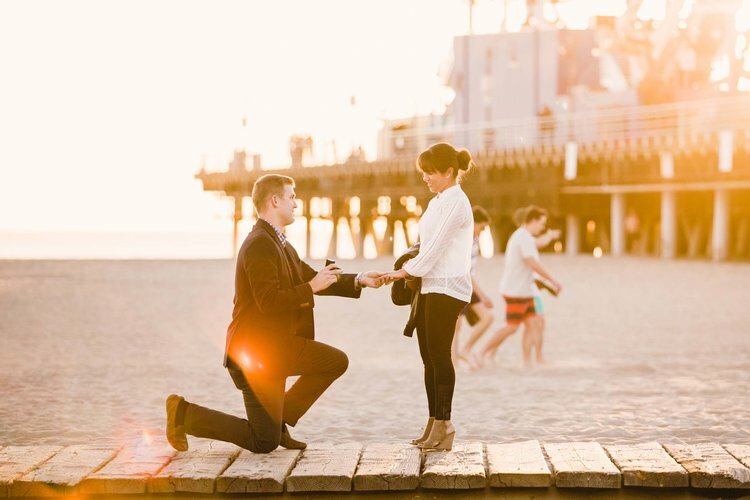 Where to propose in LA: The Santa Monica Pier, surrounded by the beautiful beach and the skyline as the sun sets. Honolulu offers the traveller world-class shopping, restaurants and galleries, coupled with warm tropical breezes and white sand beaches. Hang ten at the famous Waikiki Beach with Diamond Head watching over you or grab a Mai Tai, sit back and watch the pros in action. 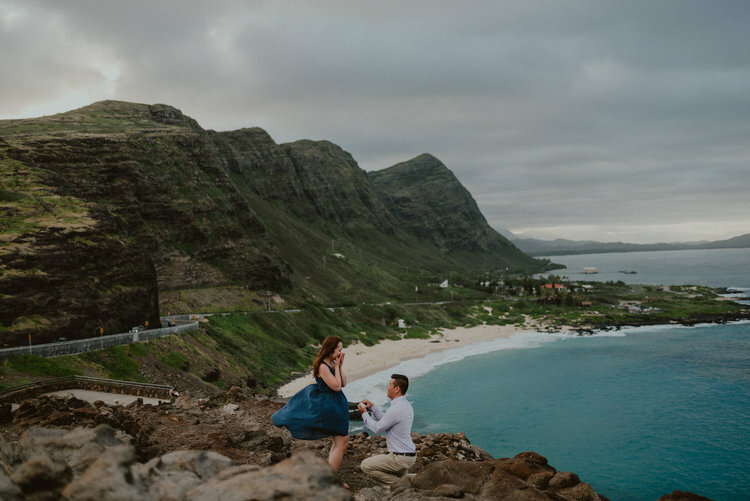 Where to propose: Lanikai Beach, a perfect spot with gorgeous views of the Mokulua Islands, palm trees and a long, beautiful beach. 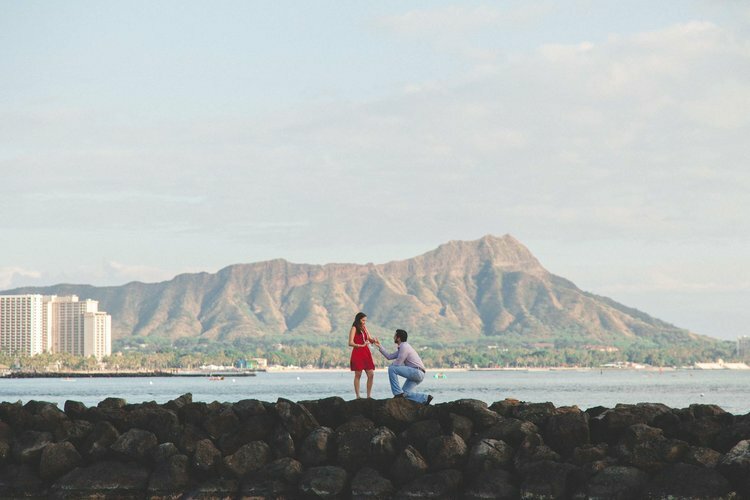 Where to propose: Waikiki Beach Rock Wall, where the view doesn’t get much better, surrounded by the Hawaiian surf with majestic Diamond Head in the background. Lanai Lookout, just off of the highway, this lookout point offers beautiful views of the Pacific Ocean, and if you’re lucky, you might even spot some humpback whales! Home to the Liberty Bell and Rocky Balboa, Philadelphia is a city on the rise. 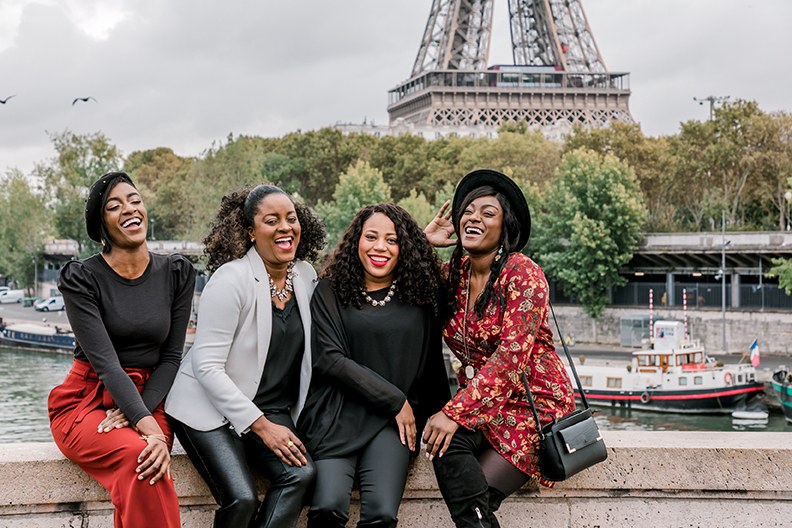 Get your cultural fix in one of the city’s many galleries, including Rodin Museum and the Philadelphia Museum of Art, or go rogue and take a Mural Arts tour. Be sure to visit one of the many star-studded restaurants and innovative dining experiences that are popping up throughout many neighbourhoods. Where to propose: The Philadelphia Museum of Art is the cultural heart of a great city — the place for creative play, with a surprise around every corner. 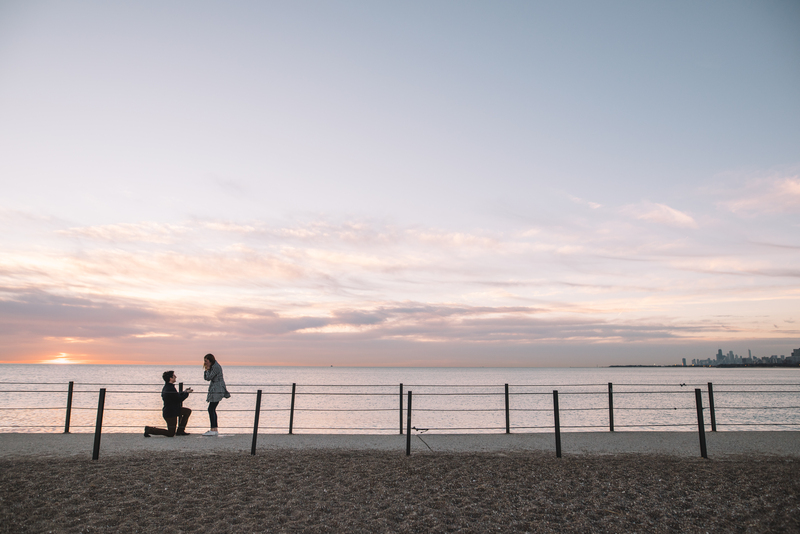 The pace is gentler and slower in Charleston: life is meant to be savoured, what a better place to start your next big chapter together! Take a romantic carriage ride through the city streets to view the beautifully restored 19th-century homes. To celebrate, sip on a mint julep during Charleston’s relaxed cocktail hour. 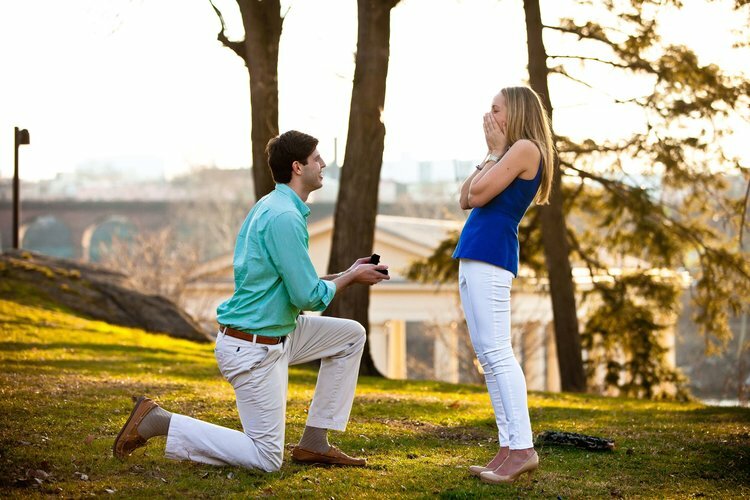 Where to propose: The College of Charleston Fountain. 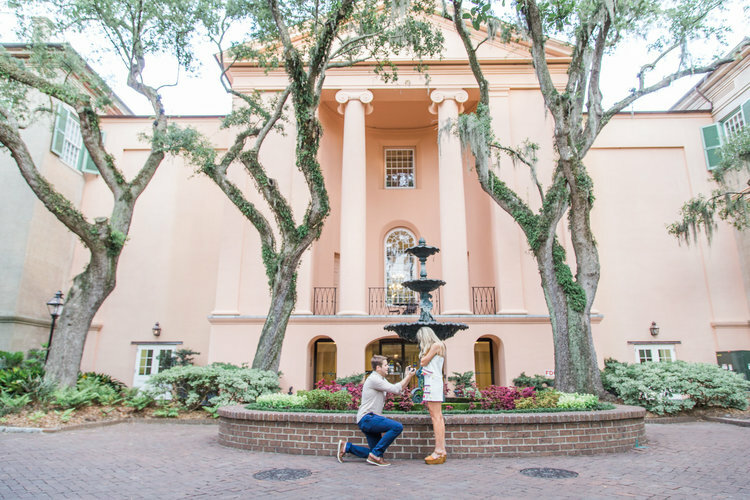 Nestled in the historic and beautiful Charleston College Campus, it’s the perfect backdrop for popping the question. You two can soak in the moment with a walk, admiring the picturesque architecture and serene green spaces. 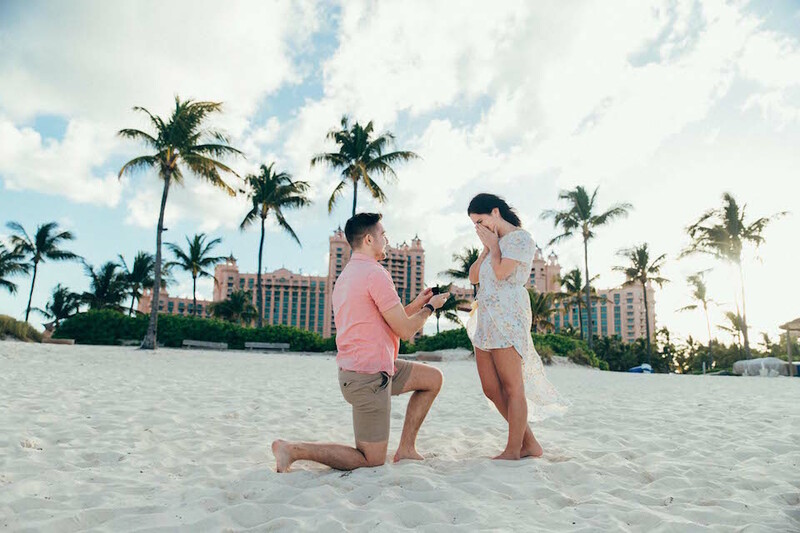 There are so many beautiful places in the United States to get engaged – let us know where you got engaged in the comments section!